I am a Dutch freelance photographer with an passionate desire to document people in remote corners of the world. Seeing how these cultures survive in modern times. I also teach workshops at Calumet in The Netherlands. Next to being a specialist on Photoshop and Lightroom, I give personal advise on photo workflow, moviemaking and filmediting with Final Cut Pro X. 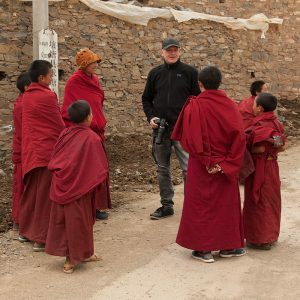 In the last few years I travelled to India, China, Tibet, Mongolia, Nepal and Mustang. Future projects are about meeting locals to collaborate en sharing our stories.